You are here: Home / About Us / Is a Cayman Islands Marriage Certificate Legal for Visitors? Grand Cayman, situated in the western Caribbean is an overseas territory of the United Kingdom. English is the spoken language. Grand Cayman is the largest of three islands which make up the Cayman Islands. The other two are Cayman Brac and Little Cayman. The Cayman Islands are one of the few places in the western Caribbean where you can be married the same day you arrive in the islands, that means there is no residency requirement. This makes the Cayman Islands, and Grand Cayman in particular, a popular destination wedding spot for couples coming on a cruise ship which calls at George Town. Weddings on the island are governed by the Marriage Law. As a visitor, you have to be married by a Special Marriage License. The cost of a Special Marriage License was increased to US$250 in 2009. You must be married by a Civil Registrar of Marriages, or by a Marriage Officer who has been appointed by the Governor. After the ceremony your wedding celebrant must file the record of your marriage, and arrange for you to get a registered copy of your Marriage Certificate. This is your legal marriage certificate, and when you return home you should go to the public records office in your town or city and arrange for it to be filed there as well. Some offices will take a photocopy. Others will want to keep the original. 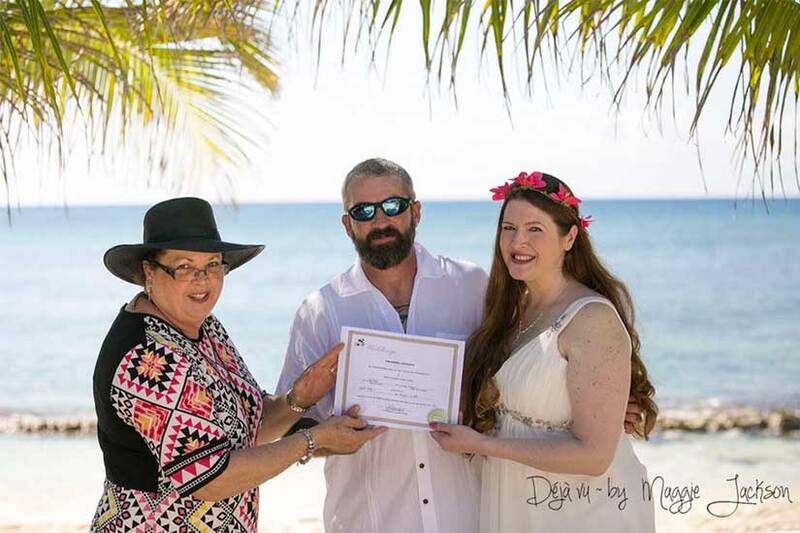 Should you need more than the one copy, you should contact your Cayman wedding celebrant.